Are we ready for converged devices? A single gadget that can carry out the specialised functions of two or more other devices can be called a converged device. Having trouble with your laptop? Would like to boost your cell phone's capabilities? Want advice on what camera is best for your needs? 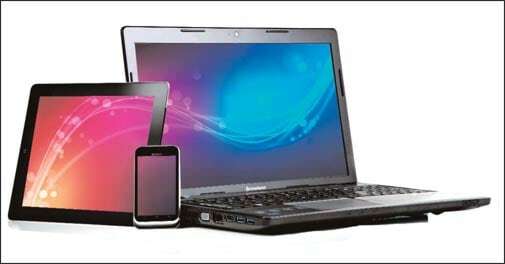 Write to Gadgets & Gizmos with all your queries and we will have experts answer them. For some, the best just got better. The sixth avatar of the iPhone looks slimmer, slicker, slighter and more svelte and elegant than ever before. The S800c definitely has quality optics though it lacks the zoom and even basic settings that the Galaxy Camera gives the user. Photo-editing software Snapseed lets you do things for which you will otherwise need a handful of apps. The last of our top 40 series tells you which gadgets will prove the most useful when you are out of town. With file sizes and data transfers mushrooming exponentially, copying stuff between machines and devices can be both banal and bothersome. Are you one of those stuck with a large, relatively new, LCD or LED TV without any smart features? Well, now you can "smarten" up your TV, even an old CRT, with intelligent features.